Did you know that only 39% of marketers have a documented content marketing strategy in place? If you’re not among them, you’re losing business opportunities as we speak! However, there are still lots of marketers not taking content marketing and SEO seriously yet. So there’s still time for you to put together a solid strategy and benefit from it! And who doesn’t want to enjoy these benefits on their site? Is SEO still important in 2019? There’s no doubt that SEO is still valuable for business today. With the rise of mobile search and voice assistants, rules have changed, making SEO even more important for companies that are looking for online visibility. Google alone processes over 40,000 search queries every second on average, which makes SEO important for businesses that want to sell and for internet users at the same time. If you communicate your ideas on your website clearly and observe SEO best practices, you’ll rank higher in SERPs. When you write practical content, people who need you find you fast and with less effort. It’s a win-win situation, in which your website visitors and customers are happy, and you continue to grow your business on a solid foundation. In this context, building a content marketing strategy is crucial for capturing the attention of leads online. Here are 11 SEO content writing tips to help you enhance your online presence, build your brand reputation and increase awareness. The first rule when writing for the web is to know who is going to read your content. A one-size-fits-all content solution can only do so much for your marketing. Monologue doesn’t build engagement and trust. People who arrive on your website can’t identify themselves with what you say and leave. In time, poorly-written content increases bounce rate, which is a signal for search engines that the page doesn’t add value to its readers. You need to know your audience and build custom-made content that answers their questions. Who is going to read your blog post, landing pages, eBooks, or another piece of content that you write? Research the market and existing customer base to see which categories of consumers would buy from you. Use this data to build buyer personas — characters that represent your target customers and that you can use to identify the audience for the content. When you know whom you write for, you’re more likely to create appealing content that generates emotions and guides website visitors towards the right buying decision. Everybody aims to publish original content, but the truth about SEO is that being too different from competitors may have negative effects on your position on search engine results pages (SERPs). You learn what Google likes enough to list it on its first page and use the information to improve content (keywords, type of content, length, the tone of voice, sources). In short, you need to find the balance between being original and implementing the recipe that brings in excellent results. Let’s say you want to write a blog about the industry events of 2019. Start with searching for information using the main keywords you target. Analyze the posts and try to come up with a different angle for the topic. The information that you’re going to publish is the same. But you don’t just provide readers with general presentations of the conferences. You could focus on a specific detail — the keynote speakers, advice on how to save money on accommodation, or what panels and discussions to attend during the event. How you use keywords, and keyword phrases and where you use them can make miracles for your SEO strategy. If you invest resources in keyword research, you should do the same for putting these keywords to work. The keyword you target should be present in titles and meta descriptions, in the first paragraph (or first 100 words), several times across the text, in one heading (H2 and H3 tags) at best, in the URL, the image titles and the alt text. When you write the article, place keywords naturally inside the text, and don’t use them more times than it’s necessary. Otherwise, it will be hard to read, and people will leave your page before finding their answers and without taking any action. The essential thing to remember when doing SEO optimization is that you should remain appealing for humans. Crawlers bring in traffic, but your readers engage with your content and buy from you, not Google. 79% of users online are scanners, not readers. Internet users don’t waste time reading your articles. They scan for the information of interest using an F-shaped pattern. Their eyes first movie in a horizontal movement in the upper side of the page. They then move down the page for a second horizontal movement. And they end with a vertical movement meant to scan the left side at the bottom of the page. You need to organize your content to draw attention to the right parts. Doing so helps readers pick out the helpful words and sentences. In simple English, you should format your content to help readers go faster through the text. Writing web content respects journalistic principles. So, you should write the most important stuff at the beginning. Most importantly, use a limited number of words to express your concepts. Don’t distract your readers with too much context. Tell them right from the start what is your text about. Links are crucial for SEO, so you need to link to trustworthy references to optimize your content for the search engines. Choose white papers, research, and dependable websites in your niche to back up all the information you publish. For example, an article links to blog posts from Search Engine Watch and Content Marketing Institute. Both are authorities in the digital marketing industry. These links add value to the piece. Every number and statistic used comes from research done by the subject of matter experts in the field. That’s why this information helps you to make informed decisions about your content marketing strategy, based on facts and data coming from trustworthy sources. Content recency is one of Google’s most important ranking factors in 2019. Go through your existing content and add or remove sections to keep the data relevant to your audience. The more changes you perform in time to keep your content up-to-date, the higher your chances to rank on top of search results. That is because search engines favor fresh content. They sometimes highlights the importance of this factor by showing the date of the page’s last update on search results. Test this technique with one or two pages. Based on the results, calculate whether the effort of updating content has a good ROI before refreshing of your website. Sometimes, when curating content, it’s wise to choose those pages that worth the effort — solid pieces that add value and already bring in traffic. When you update older posts, make sure you refresh statistics and numbers, link to the latest sources, and even change anchor texts for internal links if you plan to target different keyword. When you write your content, make your calls to action (CTA) compelling. If you want your readers to click on a link or leave their email addresses, tell them exactly what you want them to do. This way, website visitors know what you expect from them and are more likely to act. Their engagement is a clue for search engines that your website is helpful, which makes you relevant and places you higher in search results. It’s like a circle: a CTA improves conversion rates, which boost SEO — it means more traffic, more website visitors that stay enough on the page to read your CTA, a higher number of visitors converted, and so on. From better formatting to choosing the right combination of words, all the tips and tricks regarding SEO have the purpose of improving the quality of the content you publish. 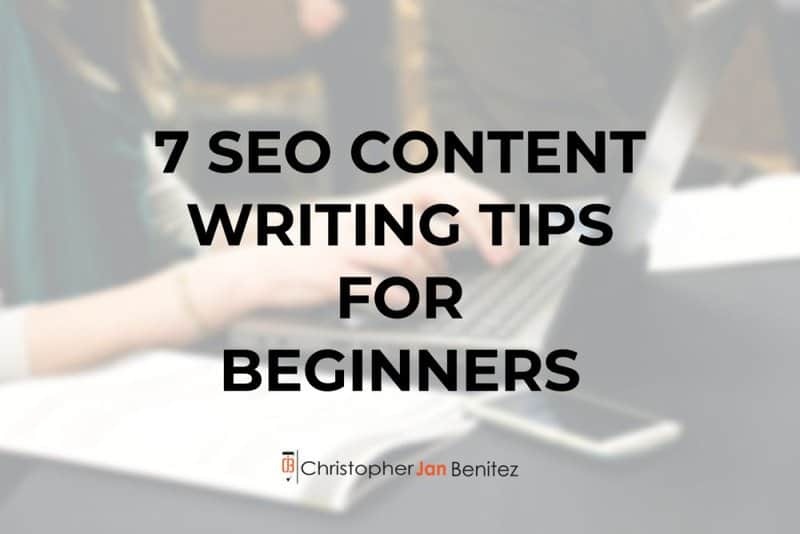 Any of these SEO content writing tips can help you to make the content more appealing for both search engines and users. The more you practice, the better you become at crafting interesting pieces of content for your website visitors. So, research, plan, write, edit, publish. Then repeat. Udo Leinhäuser – translator, author and pilot with 20 years’ experience in the language services industry. After successfully building his own company from 2 to 25 in-house staff, he took a three-year break to write and publish pilot guides about flying in Florida and California. As the founder of i-seo.works, he has extensive experience in the field of International SEO and has shown in numerous large-scale projects that successful International SEO lives to a large extent from linguistic and intercultural competence.